Roasting vegetables is really the ultimate way of bringing out the best flavor in your garden favorites in the healthiest way. 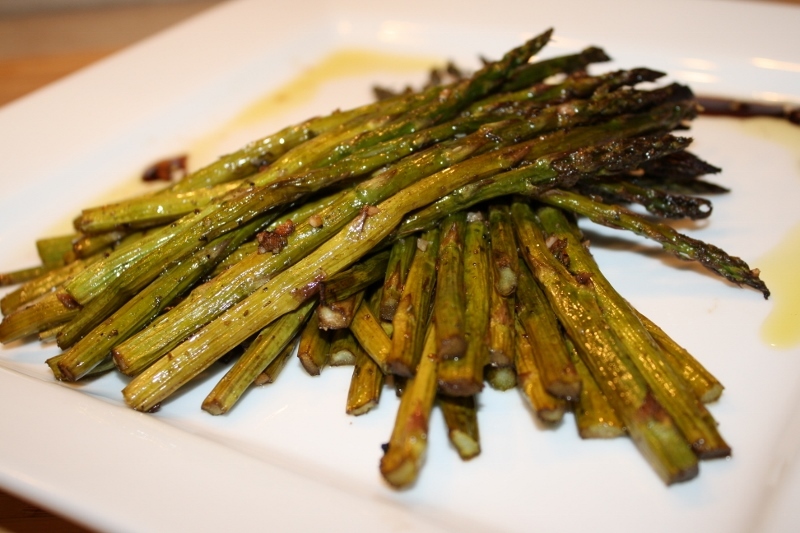 The oven method brings out the sweet notes of the vegetables naturally; using a cooking technique referred to as caramelized. The result is a golden crisp outside with a tenderness on the inside. 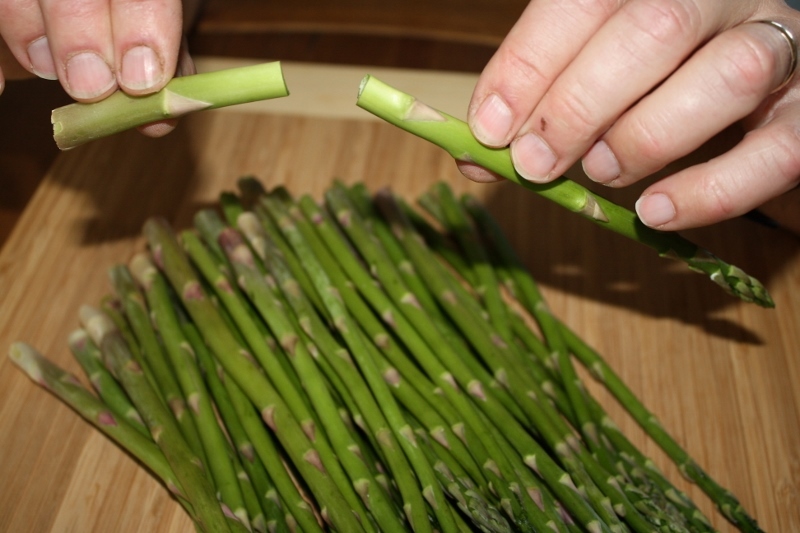 There are a few tips to keep in mind when roasting: Chop or trim your vegetables equally in size. 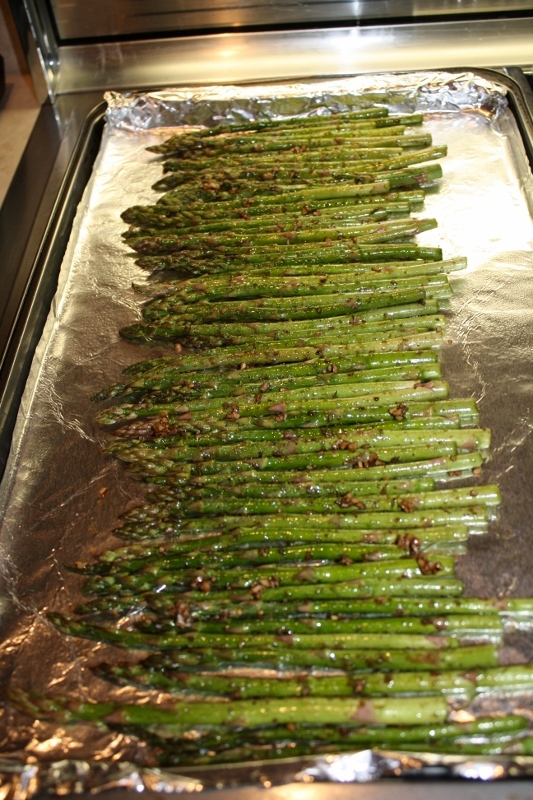 Next, arrange your vegetables evenly in a single layer onto a baking sheet so they roast evenly. 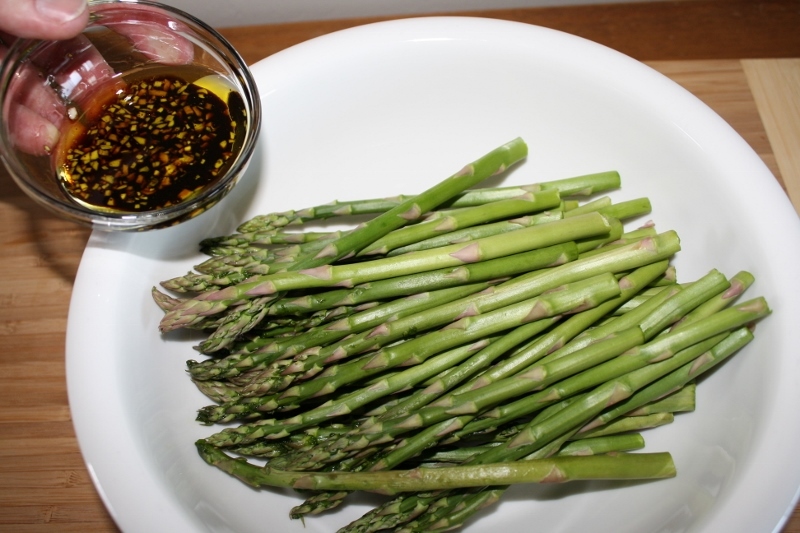 For this recipe I am using olive oil and a good quality balsamic vinegar. Infused olive oils are also a good choice to use as you can pair a variety of flavors with different vegetables. Our Lemon-Thyme Finishing Salt gives a light and delicate flavor to the dish and pairs nicely with any green vegetable. 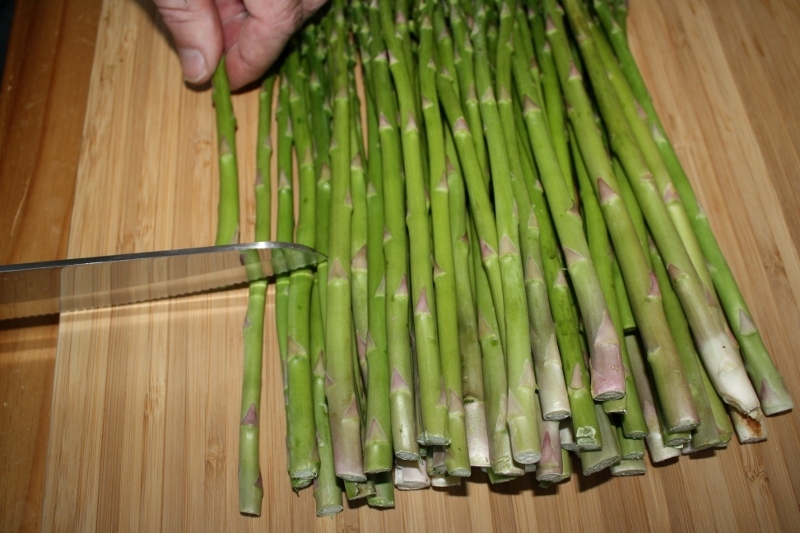 Line up the entire bunch on a cutting board and using the snapped piece as a guide, cut off remaining woody stems and discard. Gently wash under cold water and drain thoroughly. 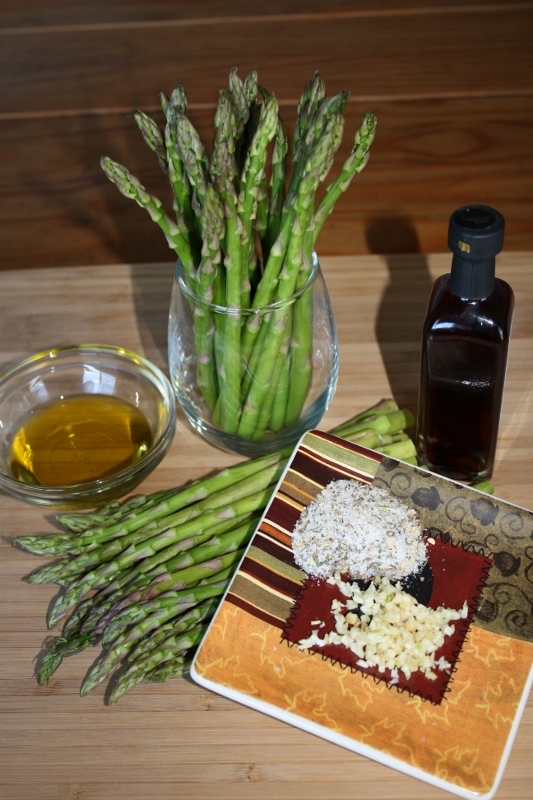 In a bowl, whisk together the olive oil, balsamic vinegar and the minced garlic clove. Pre-heat the oven to 425 degrees. Line a baking sheet with aluminum foil and lightly spray using a non-stick cooking spray. 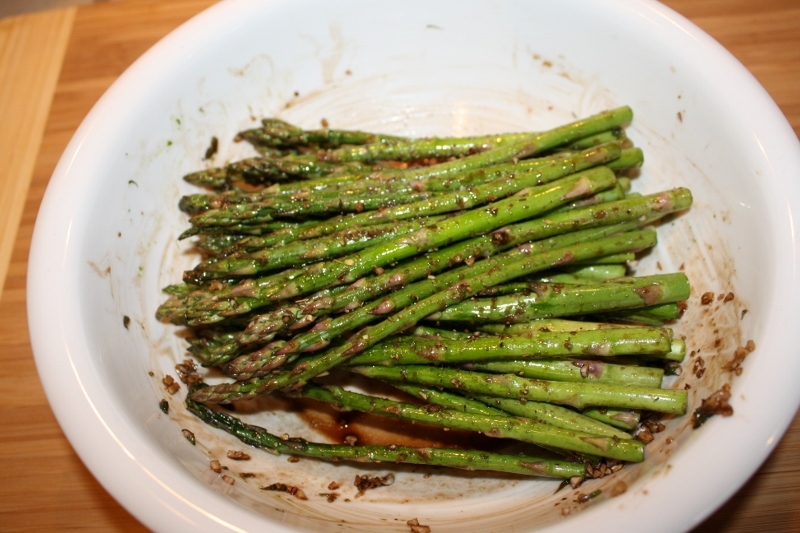 Place asparagus into a bowl and toss with the olive oil, vinegar and garlic, until fully coated. Season the spears with the Zesty Moose Lemon Thyme Finishing Salt. 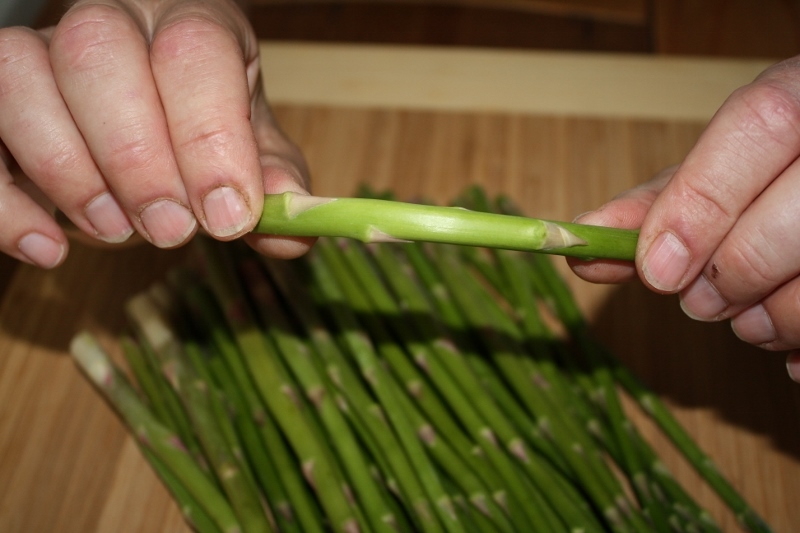 Place asparagus in a single layer onto the baking sheet. Roast in the oven for 10 minutes, turning the spears one time.